I did not discover the magical and cost-efficient wonders of Trader Joe’s until this year, and now I am completely smitten. 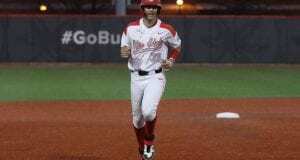 It’s a little off the beaten path from Ohio State’s campus: There’s a store in Dublin and a store at Easton, so it’s about a 20-minute drive either way. However, the drive is so completely worth it for the money you save and the amazing products exclusively sold at Trader Joe’s. If you don’t want to make the drive, Amazon retails a wide range of its products online. 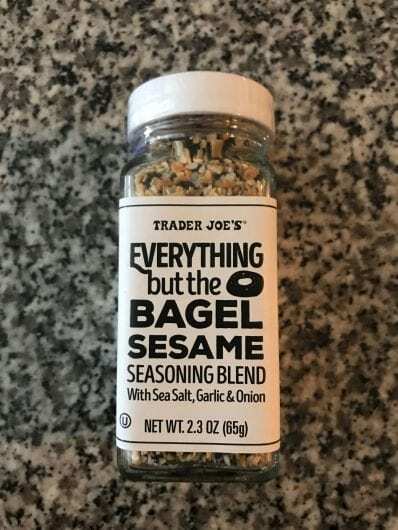 Its stores have all the elemental groceries you would find at Kroger or Aldi, but Trader Joe’s differentiates itself by carrying outside-the-norm merchandise that makes cooking fun and interesting. These are just a few favorite Trader Joe’s-brand products that I wholeheartedly endorse because the tastes and prices keep me trekking back for more. 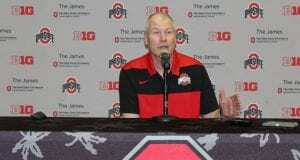 Disclaimer: No one is paying me to say this stuff, but I am open to any offers. 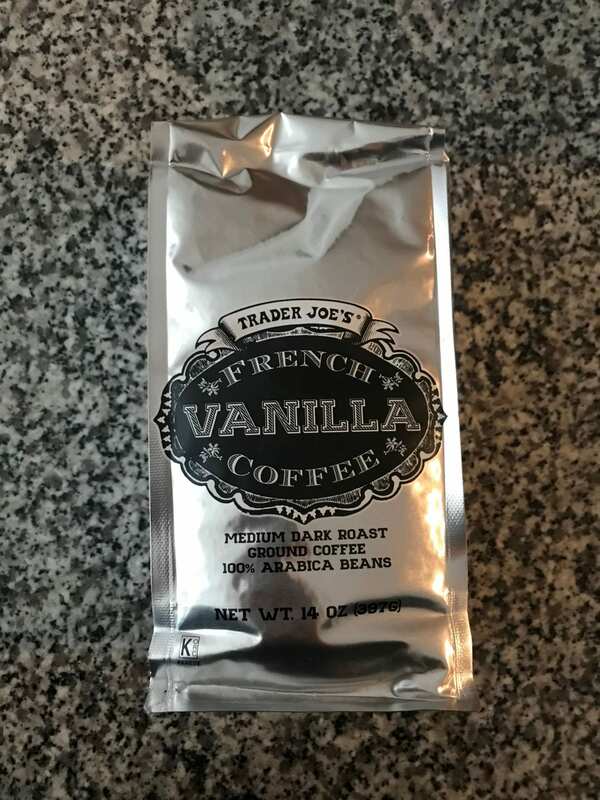 I have to start with this product, because it is what got me to check out Trader Joe’s in the first place. I was seeing it all over Instagram food accounts because there is literally no food item that this seasoning cannot improve. It’s exactly what it sounds like: all of the seasoning that goes on an Everything bagel, sans the bagel. It’s in Trader Joe’s spice aisle and only costs $1.99. I am not being dramatic when I say that I am a different person now than I was before I started putting this stuff on literally everything. My favorite way to eat it is to sprinkle it on my over-easy eggs and on top of my toast for breakfast. OK, I don’t know how many of you have ever been to Holland and enjoyed a nice street waffle, but let me tell you — the Dutch know their way around a good breakfast pastry. Trader Joe’s imports this foreign delicacy into your kitchen for a cool $2.79 per bag. It requires all of my self control to not inhale 20 at once. I’m not joking. I literally have to take the recommended serving size of four mini-waffles out of the bag, reseal the bag, put it away in my cupboard and then retreat to a different part of my apartment to eat my ration of them or else I worry I would eat the whole bag at once. Made in small disks the size of a half-dollar, the piece of waffle encases a layer of caramel and every bite is chewy and amazing. My favorite way to eat them is to dip them in coffee. Speaking of coffee, I buy my favorite coffee here. I usually steer clear of canned cold brew because I prefer my coffee black, and I find that most canned coffee is too sugary and light beige in color for my preferences. However, Trader Joe’s makes it perfectly. It’s 100 percent Arabica coffee with a little bit of milk, sugar and vanilla added in, bringing an 8 oz. serving to only 60 calories. You can also buy the same flavor of grounds in a 14 oz. bag (which I do) for only $6.99. My favorite way to enjoy the cold brew is in a tall glass over ice, with exactly four stroopwafel wafers to dip in it. This pasta is so fun — and so cheap. A 12 oz. bag of this pitch-black spaghetti contains six servings and costs $1.99. 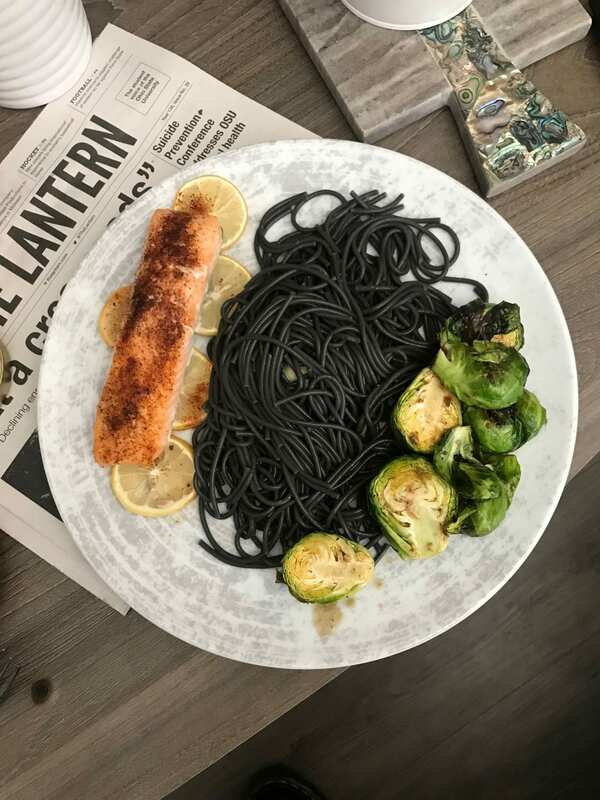 I don’t really notice much of a difference in taste from regular spaghetti, but apparently the squid ink gives it a saltier, briny flavor, which makes it a perfect side dish for seafood. My favorite way to prepare this spaghetti is with butter, pepper and lemon juice alongside some roasted veggies and a cut of baked salmon. Then, I take a picture of it and Snapchat it to my friends and they inevitably ask me why I eat such bizarre food. I feel like you can just read the name of this product and inherently understand how amazing it is. Honeycrisp apples are the best kind of apples (I will not entertain any disagreements with this assertion) and apple cider is the best kind of autumnal beverage (miss me with your pumpkin spice nonsense). It comes in a 64 oz. jug for $2.99, so this purchase is a no-brainer. Also, it’s 100 percent juice so there are no extra preservatives or whatever else is apparently bad for you. My favorite way to consume this delicious beverage is by chugging it. 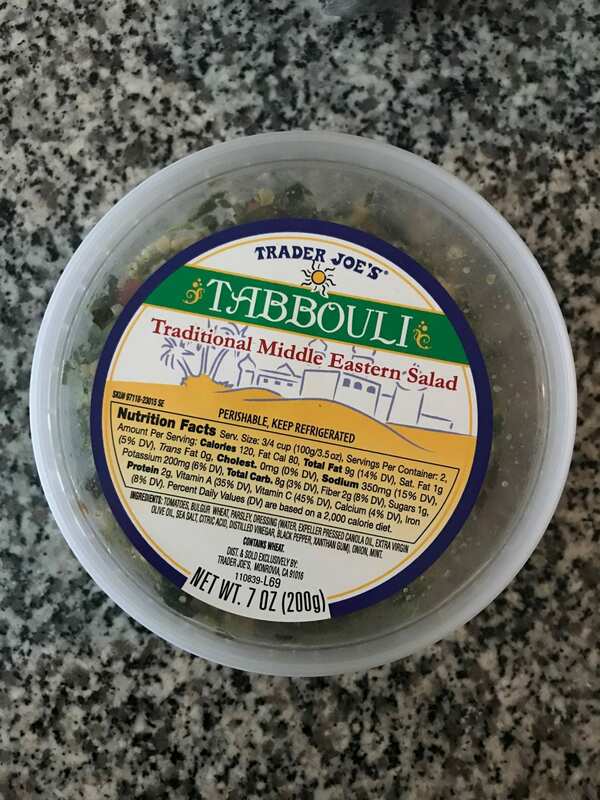 This Mediterranean salad is not unique to Trader Joe’s, but I love the way they prepackage it so that I don’t have to make it myself. Tabouli is basically just a bunch of parsley with some mint, tomato, onion, salt and lemon juice. A two-serving container is $2.99, and my favorite way to eat it is by mixing it in with Israeli couscous and feta cheese and splitting it into tupperware containers so it’s an easy meal to grab for the next few days. If you have stuck with me this far, thank you. I am about to reward you with a valuable piece of Trader Joe’s information. I was shocked to discover that on top of being an amazing grocery store for food, this place also kills it in the alcohol department. It sounds too good to be true, but I promise it’s a reality. Trader Joe’s has a huge beer and wine selection, and many of its own brands of specific items are much cheaper than the equivalents you can find in other grocery store beer aisles. For example, I prefer Trader Joe’s brand and flavor of spiked seltzer (pomegranate, if you were wondering) to White Claw; not only for taste, but a 6-pack at Trader Joe’s costs $5.99, while a 6-pack of White Claws at many other campus-area locations costs between $8 and $9. And if you love wine like I do, Trader Joe’s has an incredible selection that fits every budget. I would like to specifically pay homage to its Charles Shaw brand, affectionately known as “Two-Buck Chuck,” which sells several types of wine for prices between $2 and $4. Is it the highest-quality wine you are ever going to drink in your life? Well, hopefully not. But in the current college phase of my life, I’ll take six bottles, please.